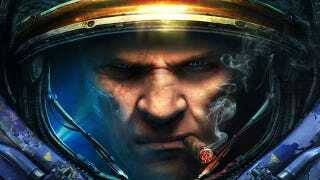 The 2013 World Championship Series, a massive global StarCraft II tournament being put on by Blizzard and MLG, ran into some controversy last week, with some Chinese players found guilty of cheating in the tournament's qualifiers. Speaking with GameSpot, MLG and Blizzard reps said "During the qualifier there was suspicion of player maphacking, cheating, and account sharing, and admins immediately began an investigation. After gathering proof, guilty players were punished by being disqualified." The culprit, a player by the name of PhysicsLee, "has been banned from the ladder and from future WCS competition." Edit: The Chinese players (and others) who were mistakenly locked out from the qualifier brackets was an error on MLG's behalf, for which they've already issued an apology as well as a fix. A select group of players will automatically be granted entry into the Open Qualifier including players beaten by competitors who were disqualified in the first WCS America qualifier, and select Chinese players who were not able to compete in the first qualifier.